A successful interaction of economically and environmentally effective product innovations. Efficiency and sustainability will be among the top issues at SMM 2014 in Hamburg, the world‘s leading trade fair for the maritime industry. With products such as the Becker Mewis Duct®, Becker Twisted Fin® and the new LNG Hybrid Barge, Becker Marine Systems is projecting the image of a company at the cutting-edge of technology. From September 9th to 12th 2014 at the SMM, “the leading international maritime trade fair”, Becker Marine Systems will be showing successful products and innovative solutions for the shipping industry. In Hall A1 (Stand A1.221) at the Hamburg Messe exhibition site, the international market leader for high performance rudder systems will be introducing product innovations featuring a convincingly successful interaction of economical and environmental factors. 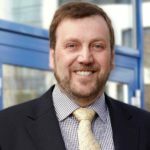 “One focus of the exhibition will be economically priced and green systems, leading to a reduction in operating costs and lower energy consumption,” said Henning Kuhlmann, Becker Marine Systems’ Managing Director. The Hamburg-based company and its core products are in a perfect position here – with both its rudders as well as its Energy- Saving Devices consisting of the Becker Mewis Duct®, Becker Twisted Fin® and the Cross Over Rudder, specially developed for aft ship optimization. Added to this are a variety of solutions for using low-emission Liquefied Natural Gas (LNG) as the fuel of hope in the shipping industry. 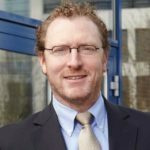 “We have developed special drive systems for this and are happy to be presenting our LNG Hybrid Barge at SMM,” said Kuhlmann. It works like a floating power station and can supply energy to cruise ships in an environmentally-friendly way. “After a 1,500 kilometre trip from it’s manufacturing site along the Danube in the Komárno, Slovakia, the LNG Hybrid Barge will be arriving at the Port of Hamburg and will be transferring energy to a cruise ship for the first time in October,” said Kuhlmann. The barge will be christened during the SMM exhibition. In addition, Becker Marine Systems will be presenting the LNG PowerPac, an LNGpowered generator for ships in port operations. Becker Marine Systems has already sold more than 800 of its Becker Mewis Duct® – the 750th duct will be displayed in gold at the SMM. “We also want it to represent the reduction of approx. 880,000 tonnes of CO2 by all of the ducts delivered by the time of the exhibition,” said Lehmann. The million tonne CO2 mark is projected to be hit by the end of 2014. The company would also like to encourage the wide-spread use of grease-free rudder systems. To prevent grease from ships getting into the sea, completely grease-free and heavy duty polymer bearing systems have been developed in collaboration with various manufacturers – a further step towards improving environmental protection in the global shipping industry. It is also possible to retrofit existing systems inexpensively. Becker Marine Systems is forecast to increase sales by about 20 per cent in the current business year. By the end of the year, the number of employees worldwide will be 230, with 135 in Hamburg. 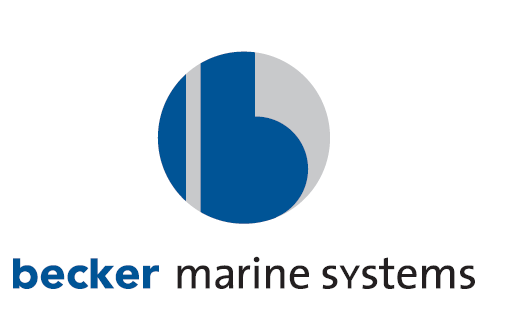 Becker Marine Systems has recently opened its own Houston (USA) office. At a press conference being held at the SMM, Becker Marine Systems will be providing information on its product innovations. It is scheduled to take place at 10:30 am on September 11th 2014 at the Becker Marine Systems stand (Hall A1, Stand A1.221).